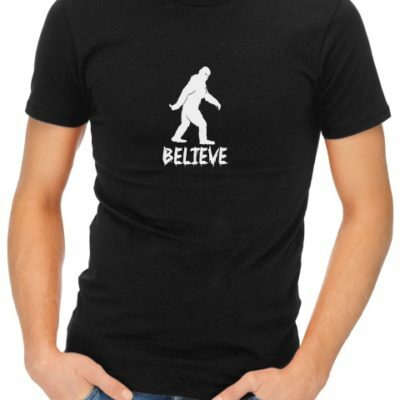 Believe is printed on a high quality cotton t-shirt. Do you believe? 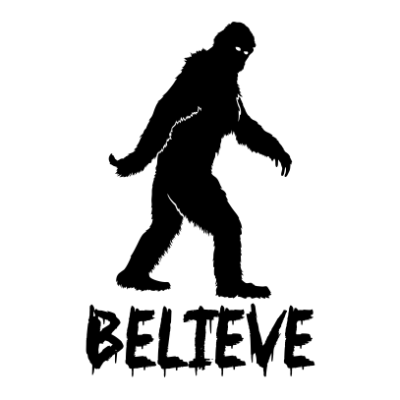 Believe in something… even if it’s Bigfoot. The Dead Rebel Pilot printed on a high quality cotton t-shirt. 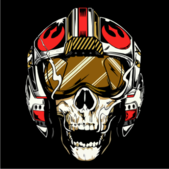 A skull design wearing a pilot’s helmet inspired by the Star Wars series of rebel pilots. 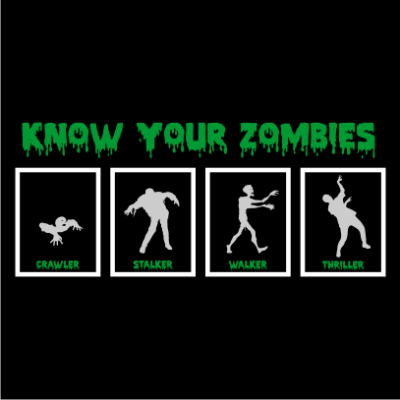 Know Your Zombies is printed on a high quality cotton t-shirt. 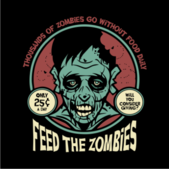 When the zombie apocalypse happens… blend in, join the zombie dance, be a Thriller zombie! 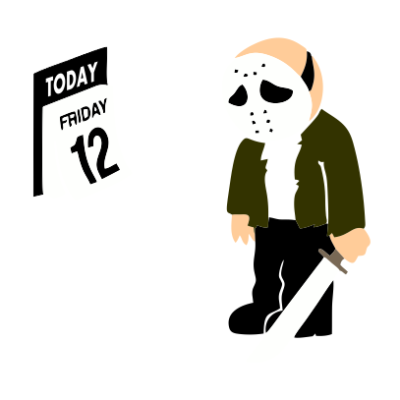 Inspired by MJ’s classic Thriller. Pumpkin Face is printed on a high quality cotton t-shirt. 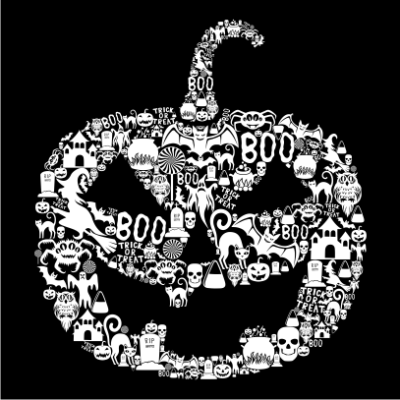 A “spoopy” collection of all thing Halloween collaged into an awesome Pumpkin shape. 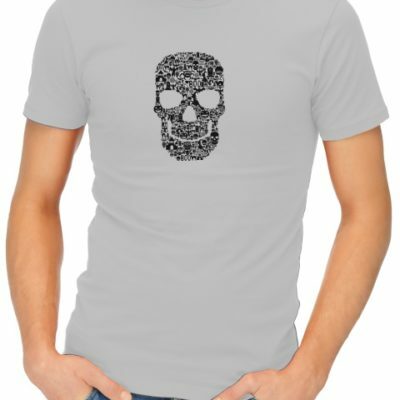 Scary Skull Face is printed on a high quality cotton t-shirt. 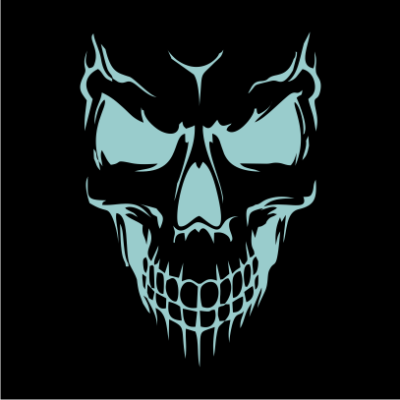 A basic design of a badass lookin’ skull face. Scary Smile is printed on a high quality cotton t-shirt. 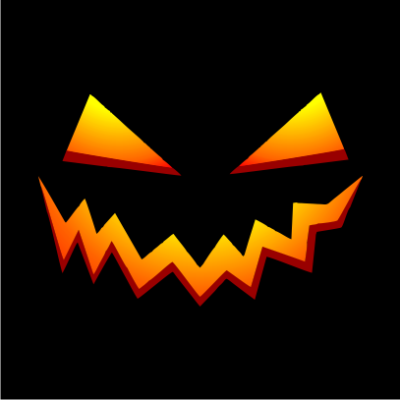 This classic Halloween pumpkin face is the perfect representation of Halloween! 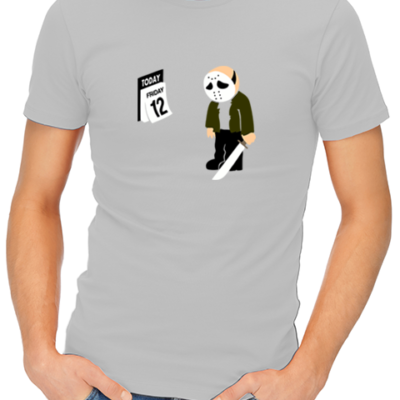 Skull Face Collage is printed on a high quality cotton t-shirt. 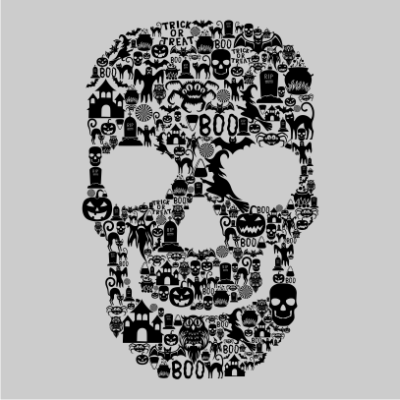 A “spoopy” collection of all things Halloween collaged into an awesome skull face design! Trick or Treat is printed on a high quality cotton t-shirt. The classic Halloween pumpkin face on a shirt. 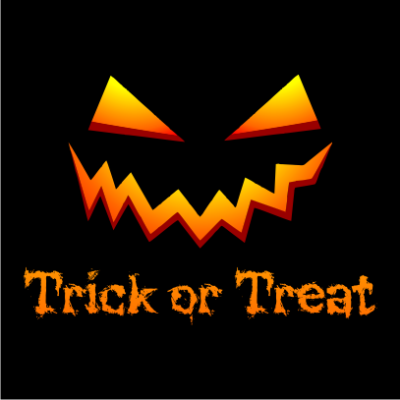 Trick or Treat? How absolutely perfect for Halloween time! 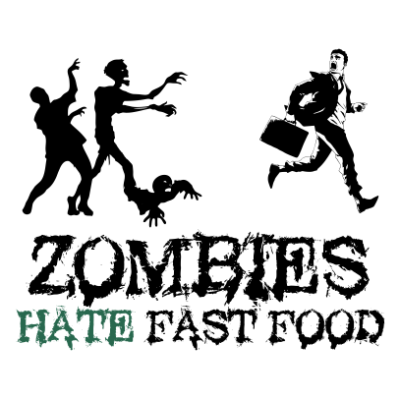 Zombies Hate Fast Food t-shirt. 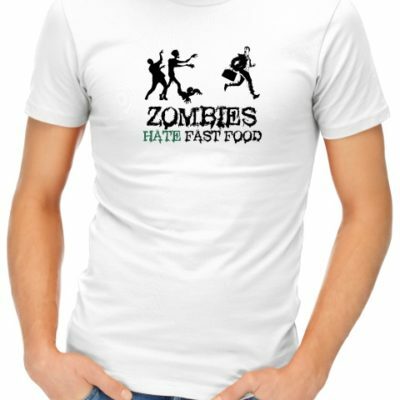 Zombies Hate Fast Food is printed on a high quality cotton t-shirt. 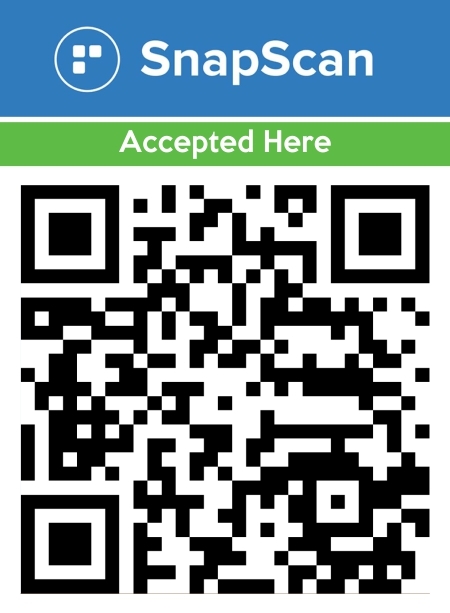 Do you like fast food? Well, Zombies DON’T. Zombievoultion is printed on a high quality cotton t-shirt. A funny display of the evolution of Zombies. 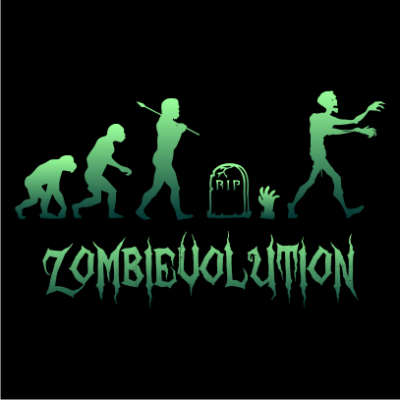 It’s the Zombievolution!